NEW DELHI: The Planning Commission will wrap up its work on the Approach Paper for the 12th Plan (2012-17) by July, Montek Singh Ahluwalia, Deputy Chairman of the Planning Commission told the Express on the sidelines of the launch of the book, “Growth and Poverty – The Great Debate”. According to Ahluwalia, independent of the method of assessment, poverty in India has decreased in the last two decades. However, this has not translated into equality of access to opportunities. Therefore, ‘inclusion’ requires a multi-pronged response, he said, and added that though there is greater economic growth across all states, within states the inequality is worrisome. He underlined four areas — energy, agriculture, urbanisation, water and land — that need concerted efforts to make growth inclusive. 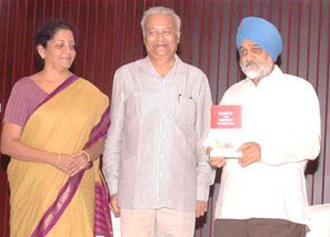 The book launch followed by a panel discussion was organised by CUTS International and attended by eminent economist Bibek Debroy, former finance secretary Ashok Chawla, BJP spokesperson Nirmala Sitharaman, Professor at IMD, Lausanne, Jean Pierre Lehmann, and director general of National Council of Applied Economic Research Shekhar Shah. Addressing the issue of inequality across territories, Bibek Debroy, head of the Centre for Policy Research raised a key issue on the concentration of poverty and inequality in a few districts of India and failure to address this. Meanwhile, speaking at the India-US High Technology Cooperation meeting hee, Ahluwalia asked smaller American firms to invest more in the Indian market and said the defence sector would be one area where such companies can fill some important gaps. He further said that the country is targeting a 9 per cent growth during the 12th Plan and for this the focus on energy security, infrastructure and higher technology would be greater. Ahluwalia said the Indo-US trade ties have the potential to benefit from this.Backing India Inc’s opposition to any mandatory contribution by corporates towards social responsibility initiatives, he said the move would tantamount to “privatising taxation”. “There are certain proposals that you should introduce a legal requirement that companies should spend a certain percentage of their profits on CSR (Corporate Social Responsibility). I am not in favour of that,” Ahluwalia said.